God is at work in Muslims lives all across Africa. As we pray for the lost, remember that we are praying for REAL people. Meet Shino and Shania from Somalia. They were once Muslims, but when Shania encountered Jesus in a dream and Shino through God’s Word, their lives were forever changed! Though they live under threat of death, they continue to love and serve their Savior Jesus – no matter the cost. WATCH their amazing story here. PRAISE God for what He’s doing. PRAY for thousands more like Shino and Shania to come to faith in Jesus across the continent of Africa. Each one of us were created to have a relationship with God. The Muslims were created to have a relationship with God. This month they are seeking God though they do not know that. Let us pray that God will reveal himself to Muslims. Let us pray that they will open their hearts and receive Jesus as their Lord and Savior. What a moving testimony of two precious souls who came to the Lord Jesus Christ out of Somalia. Please join us tonight as we pray for more of these testimonies. Lord willing, I look forward to praying with you tonight. Brothers and sisters, this is the first day of Ramadan. Let us send our prayers into the nation of Somalia and cry out for the evangelism and salvation of Muslims, and also for our persecuted brothers and sisters. Sunni Islam is the official religion of the unstable nation of Somalia. With no established permanent government, Somalia functions under the temporary leadership of the Union of Islamic Courts, which serves as a transitional authority. The East African nation, located on the Gulf of Aden and the Indian Ocean, is susceptible to droughts and dust storms in the summer and floods during the rainy season. Somalia has the seventh highest birth rate in the world, accompanied by the second highest maternal mortality rate, and fourth highest infant mortality rate. The decades-long instability has also led to a 38% literacy rate, and almost one third of children are underweight. Northern Somalia, called Somaliland, has remained stable since their independence from Britain in 1991. The southern part of Somalia, called Puntland, has been overrun with civil war, violence, and clan leaders craving power. Consequently, the Union of Islamic Courts has implemented Shari’a law, creating a mixed legal system specific to Somalia of civil, Shari’a, and other customary laws, known as Xeer. Surprisingly, Somalia has a stable economy that depends largely on livestock; nearly two thirds of people in Somalia are livestock herders. There are 22 people groups in Somalia, 16 of which have never heard the gospel. The vast majority of those living in Somalia are Sunni Muslim and still practice traditions such as female circumcision. Islamic fundamentalists have vowed to eliminate all Christians in Somalia, and murders of Christians are becoming more common. There are currently about 4,000 believers in Somalia who mainly worship in house churches to keep their fellowship a secret. However, as the persecution of Christians heightens so does the boldness of the believers. Most missionary efforts were forced to stop in 1972 as a result of a brief dictatorship. Pray that more missionaries would be called to work among these people. Please watch the video and let us pray the prayer points on our call tonight. 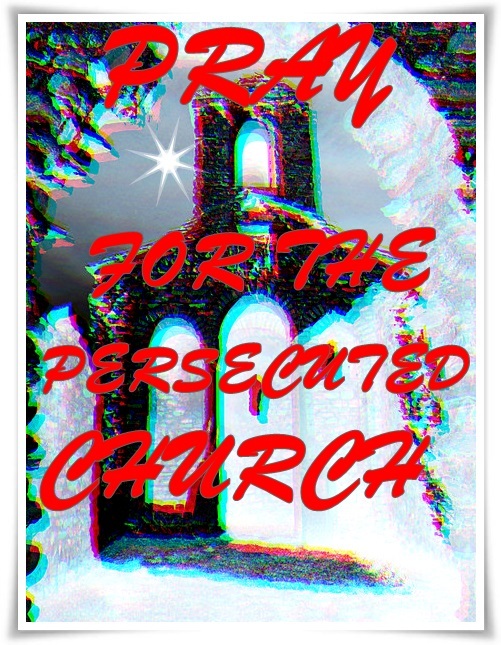 • Pray for the believing minority who suffer great persecution and martyrdom. (Morning Star News) – Islamic extremists in Somalia identified as Al Shabaab rebels last month shot to death an underground Christian woman and her son and seriously wounded her husband, sources said. The family was asleep at their home at dawn in Afgoi, about 30 kilometers (19 miles) west of Mogadishu, when at least four armed men attacked them on or around Feb. 10 shouting the jihadist slogan, “Allah Akbar [God is greater],” and, “We cannot allow the defiling of our religion with a foreign, Western religion,” said family head Suleiman Abdiwahab. The 38-year-old secret Christian, a convert from Islam, is recovering from gunshot wounds to his chest near the right shoulder. The assailants killed his wife, 35-year-old convert Faduma Osman, and the couple’s 11-year-old son, Ahmed Suleiman. The couple’s two daughters, 13 and 7, and their 9-year-old son were able to escape out a backdoor and have found safe shelter in another town, sources said. Neighbors found the three shot family members lying in their blood. Discovering Abdiwahab still alive, they took him to a local hospital, and he was later transferred to Mogadishu for specialized treatment, he said. Afgoi is located in Somalia’s Lower Shebelle Region. Al Shabaab, which has been battling government forces for more than 10 years, has taken control of farming areas surrounding Afgoi, sources said. Since the beginning of the year the rebels have briefly taken over the city three times, with Somali government forces driving them out each time, they said. Afgoi is thus under control of the Somali government but is vulnerable to Al Shabaab attacks. The insurgent militants, the Somali cell of Al Qaeda, have retreated from major cities but still control some rural parts of southern and central Somalia. The past few years Al Shabaab has lost ground to government and African Union Mission in Somalia (AMISOM) peacekeeping forces. Abdiwahab, the wounded family head, has been relocated to a shelter in another town, a source told Morning Star News. “Abdiwahab, due to the blessings of the lord, has survived and is currently recovering from serious gunshot wounds,” he said. Somalia is second only to North Korea on Open Doors’ 2017 World Watch List of countries where it is most dangerous to be a Christian. Somali law and societal tradition create an atmosphere of hostility toward non-Islamic faiths similar to that created in regimes that execute apostates. The country’s Provisional Federal Constitution (PFC) does not explicitly prohibit Muslims from converting to other religions, but leaving Islam remains socially unacceptable in all areas, according to the U.S. State Department’s latest Report on International Religious Freedom (2015). (Voice of the Persecuted) Read: Hebrews 13:13 – So, let us go out to Him outside the camp, bearing His reproach. from Islam in the country have been facing a great deal of persecution. The mere suspicion of one’s having renounced Islam leads to a rushed public execution. Martyrdom is very common. Please do keep our persecuted brothers and sisters in the nation of Somalia and your prayers. Donations are always desperately needed. Islamic extremist threat reigns whether they remain or are repatriated. KENYA (Morning Star News) – The Somali convert from Islam and his wife were holding each other under their bed in a Kenyan refugee camp as gunmen outside their door threatened to shoot. Abukar Mohammed (surname withheld for security reasons), 36, suspected members of Somalia’s Islamic extremist Al Shabaab insurgency who lived in the camp near Dadaab were the ones pounding on the door and demanding he open it the night of April 27. The door was made of wooden poles, and the assailants could see through the gaps between them. “Come out the door or we will kill you,” one of the assailants said. The couple was later found inside their home in a pool of blood. Two days later they were flown to Nairobi’s Kenyatta National Hospital, where they were treated for two months. 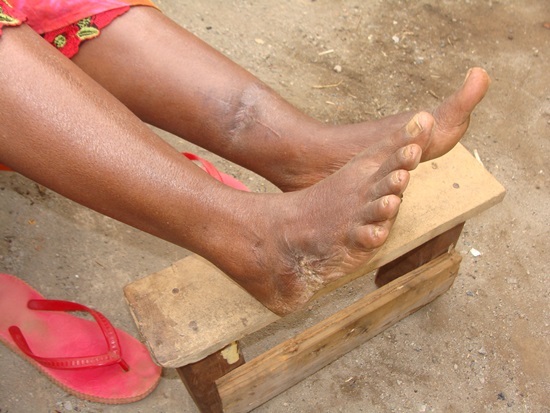 They continued treatment at a rehabilitation center on the outskirts of Nairobi, but they are still nursing their injuries, and Abukar’s wife, still in great pain, must use a walking stick. The Muslim operators of the camp could hardly be relied upon for security; indeed, Abukar said Kenyan security personnel assisted the gunmen in the assault. The experience of this Christian couple – Abukar’s wife also a Somali convert from Islam – is just one example of dangers facing Christians in the Dadaab refugee camps, where an office of the U.N. High Commissioner for Refugees is based. Kenyan officials are increasingly trying to repatriate refugees to Somalia, where the threat of Al Shabaab violence awaits them. The Islamic extremist insurgents have vowed to rid Somalia of its underground Christians. Abukar is one of many refugees who have spent a large part of their lives in the camps – a generation has known no other existence – and in that time concealing his faith became more difficult. He gained popularity as a distributor of food, some of it from a Christian aid organization, to underground Christian families for six months; he associated with an Ethiopian Christian; and he attended a fellowship run by Christian police in the camp. He had come to Christ in the camp in 1995 under the influence of Canadian Baptist church workers; his wife (name withheld) converted to Christ in the camp in 2006. Childless, she suffered her third miscarriage while being treated for her wounds from the shooting, she said. The two said they are in desperate need of help. Another Somali convert from Islam, 48-year-old Abdikadir (surname withheld), saw Muslim relatives and other Somalis burn his home down in one of the undisclosed Dadaab refugee camps in April. He told Morning Star News that they took away his wife and four children in the course of destroying his home. Like Abukar and his wife, Abdikadir is also a UNHCR-designated refugee; he managed to escape the attack in the camp and is now in hiding elsewhere. He came to Christ while still living in Somalia, and in Kenya his boldness in proclaiming Christ landed him in a Khadi (Islamic) civil court in Garissa under a charge of leaving Islam on March 22, 2013, he said. “I could not deny my faith in Christ,” he said. “I stood firm with my conviction that Jesus is my Lord and Savior,” he said. He escaped retribution, but he and other Somali underground Christians in Kenya live in constant fear of Kenya’s repatriation efforts.